Not one but two KAWS exhibitions in Tokyo and Hong Kong at Perrotin galleries simultaneously. Continuing in the tradition of Pop Art, KAWS work crosses painting, sculpture and printmaking along with fashion, merchandise and toy production while drawing upon art history and popular culture. In his paintings, KAWS deconstructs his appropriation of iconic characters into forms that draw on the tradition of abstract painting. 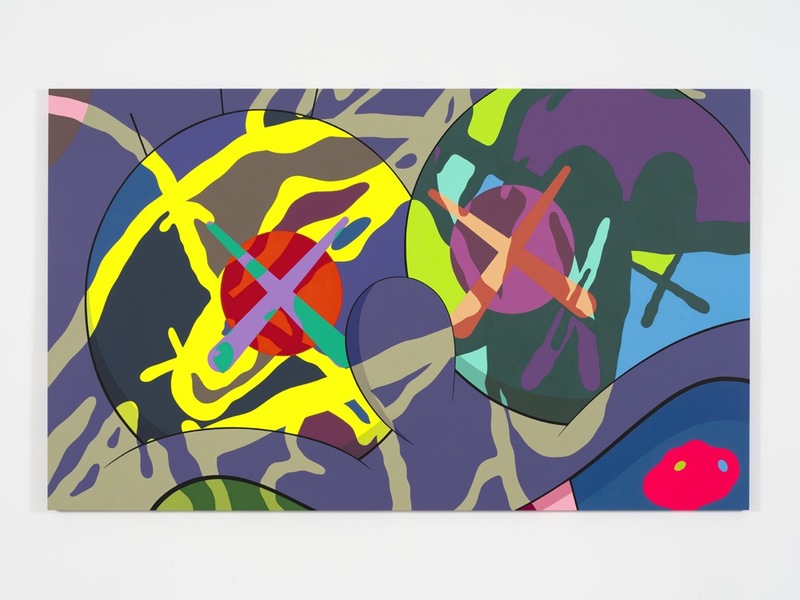 KAWS is a product of and an answer to the Pop legacy left behind by famous progenitors such as Andy Warhol and Claes Oldenburg, and he shares ground with the Japanese eclectic film and print maker Keiichi Tanaami and the American satirical painter Peter Saul. Together with Jeff Koons and Takashi Murakami, KAWS spearheads the contemporary Pop contingent1. As both disciples and rebels they have absorbed the lesson of historical Pop art, and have revised it in light of contemporary societal shifts. 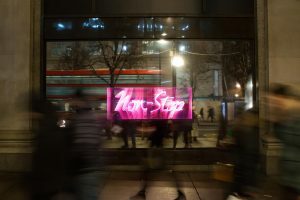 Pop is in fact a movement, which was never canonised as such by its makers (most artists refute categorically the Pop label), but was always premised on a constant engagement with the everyday. This makes it extremely malleable and fluid, capable of constantly reinventing itself according to the socio-political reality in which it operates. As such it has the potential of being more accessible to a wider public, yet remains firmly rooted in the vision of the individual artist. KAWS’ practice is emblematic of this stance. He sets up a cast of faithful characters, with names such as COMPANION and CHUM, and sets them loose in different fields. Still firmly entrenched in a Pop legacy, COMPANION—as does most of KAWS’ work—provides a glimpse into Pop’s contemporary evolution. No longer simply lifting iconic images and reinterpreting them, familiar characters undergo an overhaul and become something other. They are transformed into KAWS characters, depersonalised and repersonalised, ready to conquer the worlds of commerce and fine art. By personalising the quintessential Pop icon, KAWS converts a branded figure into his own brand ambassador. Keith Haring with his radiant baby and Jeff Koons with his stainless steel bunny had devised a similar approach to Pop, moving away from pre-existing iconic figures and devising a set of unique characters to carry the flag of their trademark. Extract of KAWSIFICATION OF THE UNIVERSE published in “KAWS – Yorkshire Sculpture Park”, 2016. 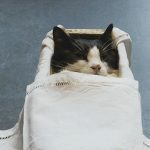 Flavia Frigeri is an Art Historian and Curator, currently Teaching Fellow and PhD candidate in the History of Art department at University College London. Previously she served as a Curator, International Art (2014-16) and Assistant Curator (2011-14) at Tate Modern, where she worked on exhibitions, acquisitions and permanent collection displays. March 26 – May 19. KAWS (b. 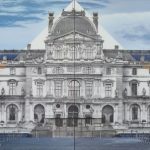 1974, Jersey City, New Jersey; lives and works in Brooklyn), has exhibited internationally in major museums. His most recent solo exhibitions include KAWS: WHERE THE END STARTS at the Modern Art Museum of Fort Worth and Yuz Museum, Shanghai; and Yorkshire Sculpture Park and Longside Gallery (2016). His work has also been the subject of solo exhibitions at the Contemporary Art Museum St. Louis, Brooklyn Museum, New York, Centro de Arte Contemporáneo, Málaga, Spain, Nerman Museum of Contemporary Art, Pennsylvania Academy of Fine Arts, and the High Art Museum, Atlanta. 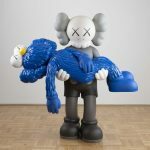 This entry was posted in EXHIBITIONS, NEWS and tagged Kaws, Perrotin. Bookmark the permalink.